You need to consider your existing clients in your MSP marketing to determine the best means of nurturing leads. The drip-marketing approach is actually set up to succeed in terms of existing clients. They’re more apt to accept new products or services, especially if they’re already satisfied with what you do. You should immediately send out emails to new clients. These emails should include forward steps and line out a maintenance paradigm of upgrade. Inform the new clients pertaining to technological development and advisable interval upgrade. This prepares clients for when you send out upsell notifications in the future. Educationally-situated clients will have different needs than retailers. Optimize outreach to provide specific discounts and benefits to clients who match certain categories. This makes them feel like you’re cutting them in on an inside deal. Internal employees understand your products and services better than most clientele. If you are providing true value, they’ll want to get involved with that. Offer them exclusive content, and they could help you recoup some of your investment in them through patronage. To facilitate increased conversion, make sure your MSP marketing starts new clients on an upgrade schedule, sends exclusive content and doesn’t forget employees. 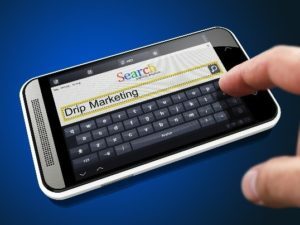 Accordingly, optimize your drip-marketing campaign.